David Rae Morris will show his documentary film “Yazoo Revisited: Integration and Segregation in a Deep Southern Town” in the auditorium of the Triangle Cultural Center in Yazoo City Friday, July 3rd, and Saturday, July 4th, 2015, at 12 noon, 2 pm, and 4 pm. “Yazoo Revisited” was the winner of “Most Tranformative Film” at the 2015 Crossroads Film Festival. “Yazoo Revisited” examines the history of race relations and the 1970 integration of the public schools in Yazoo City, Mississippi, the hometown of the late author Willie Morris, the filmmaker’s father. 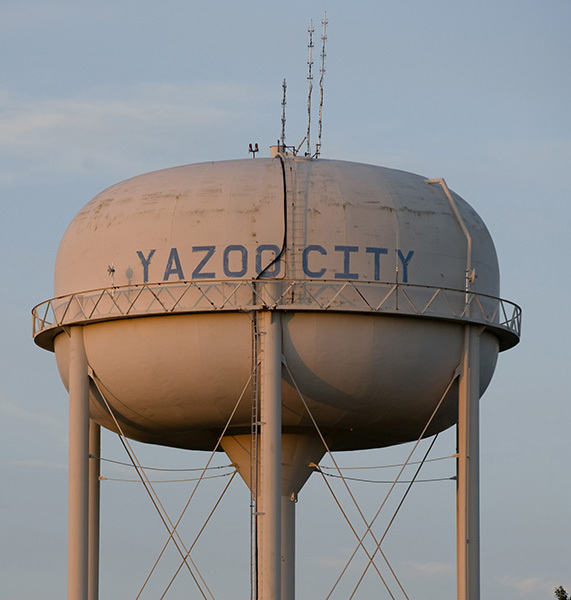 Unlike many districts, where white families fled the public schools for newly formed private academies, the integration of the public schools in Yazoo City were considered by many to be a model of success for many years. The elder Morris graduated from Yazoo City High School in 1952, and attended the University of Texas. After a Rhodes Scholarship he ended up in New York City and in 1967 was named the youngest editor-in-chief of Harpers. He wrote extensively about growing up as a young white man in Mississippi in the 1940s and 1950s. His 1967 memoir, North Toward Home, as well as his 1971 book, Yazoo: Integration in a Deep Southern Town, based on his coverage of the desegregation of the schools in his hometown, are both still in print. He went on to write The Courting of Marcus Dupree (1983), New York Days (1993), and My Dog Skip (1995). David Rae Morris is a photographer and filmmaker based in New Orleans and Athens, Ohio. His photographs are in many private and public collections. His first film, “Drawing on a Dream,” (with Susan Liles) won third place at the 2013 Elgin, Illinois Short Film Festival. His second film, “Integrating Ole Miss: James Meredith and Beyond,” was shown on Mississippi Public Broadcasting and won a Telly Award and a Special Recognition Award from the Mississippi Humanities Council. How can we that are away from YAzoo City but grew up there view this film. I had want to very much collaborate with you father on an article before he died. Hi, Prudence. Mr. Morris may not see your message, but you could e-mail or call him at the information in the article. I know that the film is making rounds at different film festivals, including the Crossroads Film Festival. Hope you get to come see us.